More exceptional artistes have been added to the line-up of the Bob Andy Unplugged concert, which is slated to take place next week Friday night at the Karl Hendrickson Auditorium on the grounds of Jamaica College. 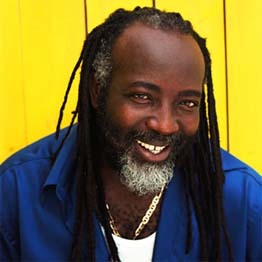 Among them are Freddie McGregor, known for his timeless hits; the impactful 'prophet' Luciano; the sultry Denyque; the soothing Della Manley; Sharon Tucker; Pam Hall; Earl 'Chinna' Smith; musician Peter Ashbourne, and others. The night's line-up had already included Mutabaruka, Tony Rebel, Protoje, Carlene Davis, Duane Stephenson, Big Youth, John Holt, Ken Boothe and musical arrangers, Dean Fraser, Desi Jones and Ibo Cooper. "It will be such a magical night. All these singers and musicians have come together to offer their musical interpretations of the legendary songs written by Bob Andy. So persons can come out expecting to hear a host of their favourite songs like Feeling Soul, I Don't Want To See You Cry (covered by Ken Boothe), I've Got To Go Back Home, Let Them Say, which were covered by Freddie McGregor, Too Experienced, which was covered by a myriad of singers, including Barrington Levy, The Bodysnatchers, Eddie Lovette, British singer, Miss Dynamite, and others," said Junior Lincoln, concert promoter and a member of the Bob Andy Foundation, producers of the event. Lincoln continued, "It's going to be a celebration of Bob Andy – the man, the musical visionary, the singer and the songwriter. We want to celebrate his impact on not only our local musical landscape, but also to showcase the foundation he laid for many international artistes and their music. So we are inviting everyone to come on out and enjoy an extraordinary night of great musical selections from our icons and emerging artistes." Still, that's not all the organisers of the Bob Andy Unplugged concert will be offering to patrons. After the stellar concert, which begins sharply at 9 p.m., ends an equally enjoyable Merritone after-party will be held inside the auditorium, which will be free of cost for persons who had purchased tickets for the preceding concert. All proceeds from the Bob Andy Unplugged concert will go to the Bob Andy Song Foundation, which will benefit Bob Andy's medical care and recovery. In addition, it will also serve to impact the development of Jamaica's musical heritage, and promote music and the performing arts among the youth, young adults and children in Jamaica, in particular, those residing in the inner-city.